Suzuki ATV Forum > Suzuki Model Specific Discussions > Suzuki KingQuad > 2018 Suzuki 500 Axi Reviews? 2018 Suzuki 500 Axi Reviews? 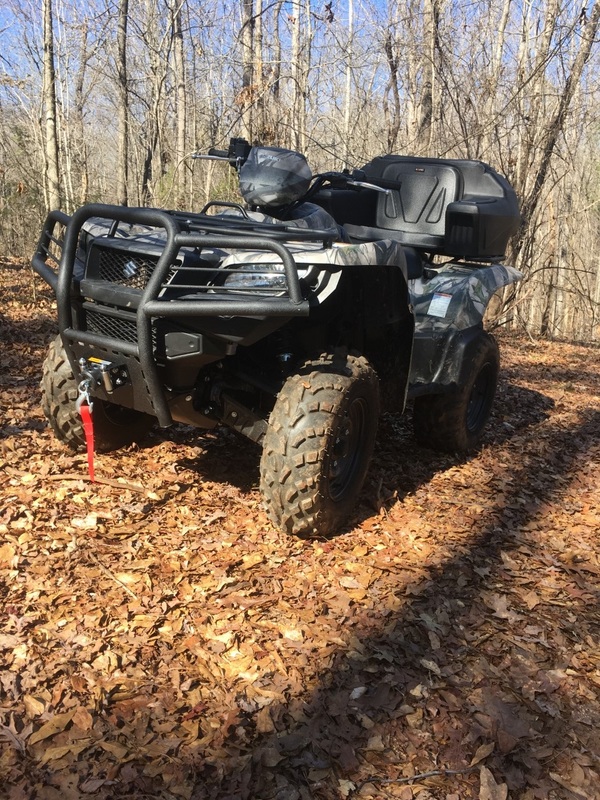 Looking into purchasing my first quad, my local dealer has the 2018 models on clearance, they are about $4000 less than a Yamaha Grizzly. Just curious if any of you have the 2018 500 Axi, any reasons not to purchase this model, any problems etc? Thanks in advance for any help! My 2018 500AXI is a very capable machine, does everything I need it to do. I grade dirt and gravel driveways some as long as a mile with a DR Power grader pulled by the 500. Plenty of power one thing I like over the 2014 400ASI I also have is the locking front diff, the 400 is basically a limited slip up front where the 2018 when both switches are activated is a true 4 wheel drive. Last edited by mudbug; 03-09-2019 at 05:33 AM. Got a 750 so cant comment on the 500. I really considered it but for the minimal price difference I really looked for a 750 and found one. The 19s are starting to get some good deals so make sure your getting a good price. Does it have power steering? A budy of mine wanted a yamaha and paid nearly 4k more than me. I just dont see how they're worth much more, I could have nearly had 2 kingquads for what he paid for one yamaha. Last edited by 2016Bighorn; 03-09-2019 at 03:54 PM. In order to be able to post messages on the Suzuki ATV Forum forums, you must first register.